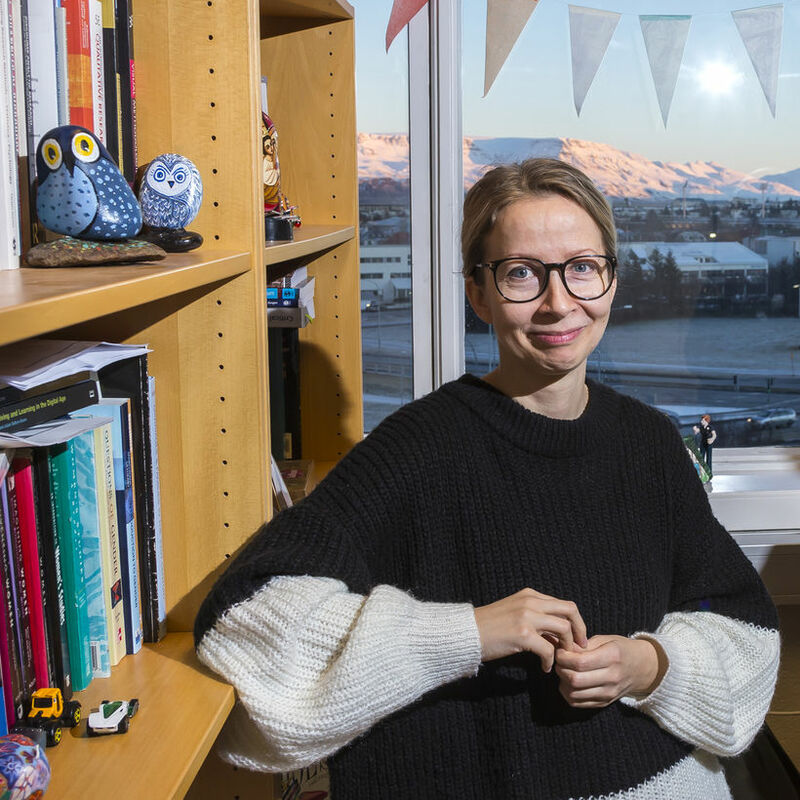 Even though Iceland has been touted internationally as a sort of "paradise for equal rights" a new Ph.D. thesis in sociology by Ásta Jóhannsdóttir points to something different. She interviewed numerous young women who feel that they are confined to social ideas about femininity and that equal rights have not been attained. Jóhannsdóttir says everything is however "going in the right direction because young people are starting to doubt and to defy the "norms." The thesis focuses on gendered self images of young people aged 18 - 25 in Iceland, the country of equal rights. The thesis was comprised of four branches, the first concerning ideas of masculinity for young men, the second on ideas concerning femininity for young women, the third about the #freethenipplemovement and the fourth was an experiment made by the author on habits concerning body hair. What surprised the author was how young men connected fatherhood with masculinity even if they were not asked at all about parental roles. "The young men spoke about being caring fathers." She speculates whether new laws on paternal leave from the year 2000 may have something to do with this and how laws can have a positive effect. The young women spoke of their ideas of femininity which annoyed them. For example, they can't be too thin or too fat, shouldn't wear too much make up but not too little, to not sleep with too many guys and not too few." "The girls grow up in Iceland, in this so -called paradise for equal rights where people believe that equal rights have been attained, but they do not experience full equality." "I think how women were fed up culminated in the #freethenipple revolution in Iceland, women were just fed up with the patriarchy." "We looked into why the revolution occurred and how it was received, which was positively by most media. Young women were interviewed by media which they usually weren't. Older feminists supported them publically and I think that positive media coverage of these events made all the difference. If media had been negative and feminists been silent it could have ended as some sort of failed experiment." The fourth branch of the thesis concerned body hair, a study she began in 2012. The importance of women shaving every hair on their body from the neck down and that's just "how it was." "When feminist rap group Reykjavikudætur were formed in 2013, some sort of feministic undercurrent started to form and then following #freethenipple I wondered if body hair habits had begun to change." In 2016 the author asked her female students to not shave anything below their necks for 10 weeks and the male students had to remove all body hair from the neck down for ten weeks. Participants had to keep journals about their feelings about this. In short, the young women felt shameful and very negative and their boyfriends and girlfriends found the hair disgusting. The young men were fairly unfazed by the experiment, just thought the ritual of having to shave annoying but that was about it." Jóhannsdóttir feels that a lot has changed in the years 2012 to 2016 including the #frethenipple revoluton and the #metoo movement and that things are looking positive. "These young people are defying conventions and pushing norms, but not all norms, like body hair for example. But they are thinking about all of these things." "Although i put "Equal rights paradise" in inverted commas we are of course fairly advanced in many aspects here in Iceland. Feminism is often a media topic and it enters into public strategy. We have a lot of femocrats in public administration who are influential." Stelpur rokka! proudly present:Music Empowerment Mobility and Exchange, a European Rock Camp and Conference!